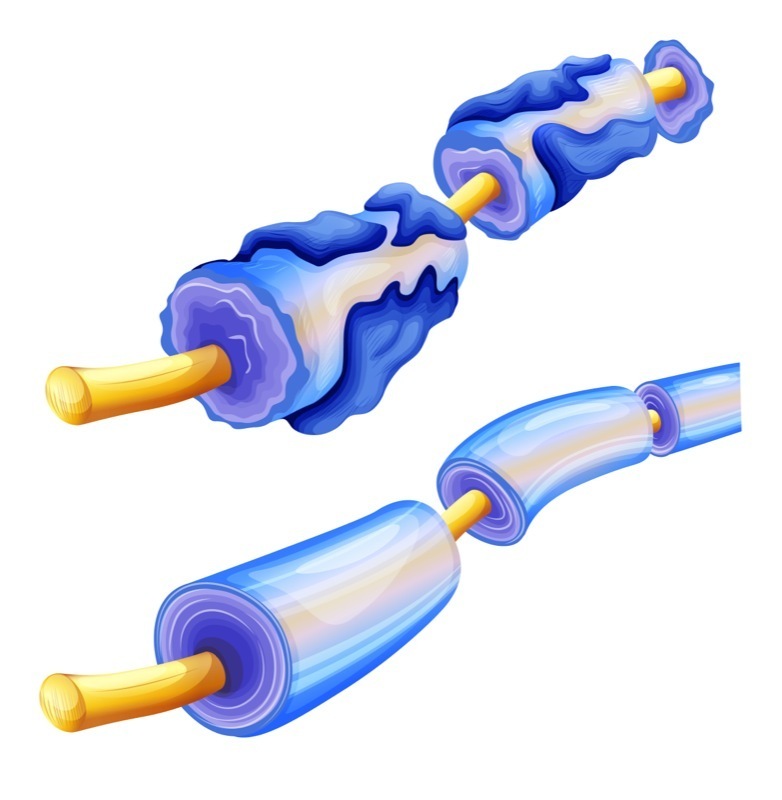 MS is characterized by inflammatory activity that results in destruction of the myelin sheaths that enwrap axons. The currently available medications for MS are predominantly immune-modulating and do not directly promote repair. White matter regeneration, or remyelination, is a new and exciting potential approach to treating MS, as remyelination repairs the damaged regions of the central nervous system. A wealth of new strategies in animal models that promote remyelination, including the repopulation of oligodendrocytes that produce myelin, has led to several clinical trials to test new reparative therapies. In this Review, we highlight the biology of, and obstacles to, remyelination.